If this Works, Facebook Stock Could be the "Buy of the Decade"
What is Facebook Home – And Will it Do Anything for Facebook Stock? Can Mobile Really Drive a Facebook Stock Rally? Will a Weak Facebook Earnings Report Open Doors for these Competitors? Facebook Stock Price: Is Mark Zuckerberg Losing Sleep Over This? Facebook stock is one of the most controversial stocks in existence today. With one billion users, investors have been waiting to see if Facebook's business model can pay off, especially after its IPO tanked. 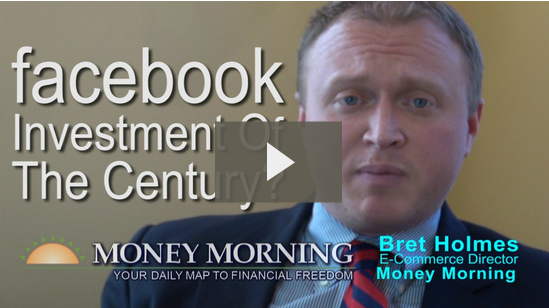 Today, Money Morning's own e-commerce director, Bret Holmes, is going to give you the inside scoop on Facebook stock. Not some theoretical financial analysis, but what the future looks like for Facebook, from a guy who understands e-commerce and can explain how Facebook stock could be the "buy of the decade" for investors. The much anticipated announcement from Facebook today (Thursday) has left us investors with two questions. The first, what is Facebook Home? The second, is this finally the development that CEO Mark Zuckerberg needs to rally investors behind Facebook stock, and lift it back above its IPO price of $38? The social-networking giant Thursday unveiled Facebook Home, a customized homescreen for Android smartphones. Facebook Home highlights all things Facebook - a dream come true for anyone who loves the social media tool. The U.S. Securities and Exchange Commission on Monday approved Nasdaq's plan to pay $62 million in compensation to brokers for mishandling the Facebook IPO. The Nasdaq missteps during Facebook's (Nasdaq: FB) debut cost Wall Street a collective $500 million and firms have fought to recoup those losses. The amount was cleared by the SEC after Nasdaq offered to pay more than is allowed under its existing bylaws. As a self-regulatory organization, the Nasdaq enjoys certain legal protections which could have resulted in a significantly smaller settlement. One of the reasons Facebook stock (Nasdaq: FB) hasn't fared better since it started trading - it's off 25% from its $38 IPO price - is the company's failure to profit from increased mobile activity among users. But now, less than a year after Facebook's acknowledgement that it needed to monetize its growing mobile member usage, the company bills itself as a truly mobile company. Facebook stock (Nasdaq: FB) fell more than 5% Friday as some 156 million shares held by early insiders and employees were freed from a lockup period. It marked the fourth time a torrent of the social networking giant's shares were let loose for trading since the company's hugely hyped initial public offering (IPO) on May 18 at $38 a share. The reaction to the sizable release of shares has been mixed. It's difficult to think that an additional 852 million shares of Facebook stock hitting the market wouldn't weigh on the already struggling share price. That's why, for the third time in nearly as many months, Facebook Inc. (Nasdaq: FB) on Wednesday braced for what could have been the largest selling spree yet to hit the social networking giant. 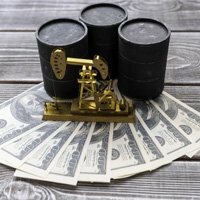 Scores of early investors and employees were at liberty to sell 778 million shares. Another 31 million in restricted stock, awarded to employees who joined the Menlo Park, CA-based company prior to 2011, were also unbound, along with 48 million shares held by former employees. The staggering number is almost equal to Facebook's existing 921 million share float, according to data from the company's most current filing with the U.S. Securities and Exchange Commission. But, a strange thing happened. 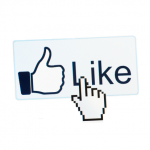 Facebook (Nasdaq: FB) is on the cusp of amassing one billion users, unarguably a milestone. The last official tally of Facebook users was 955 million. Employees have become giddy in expectation of reaching the one billion mark any day now. But, they might want to hold off tossing confetti, because the momentous occasion will also shine a bright light on the social network's shortcoming. No matter how many users Facebook acquires, if it can't sell anything, the landmark number is useless. As Owen Thomas of Business Insider wrote, "Bottom line: One billion users isn't cool. You know what's cool? Two billion." The failure to monetize that many subscribers is a shame because Facebook's massive user base is an advertiser's dream if effective - but there have been no signs of future revenue growth. That's why market research firm EMarketer Inc. recently slashed its projections for the Menlo Park, CA-based company from $6.1 billion in annual sales to $5.04 billion. 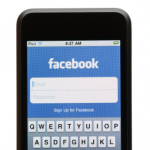 Facebook continues to struggle for advertising growth, in particular the fast growing mobile market. An increasing number of Facebook users are now accessing their accounts via smartphones and other mobile devices, an area where Facebook collects a great deal less in ad revenue than it does on desktop access. Facebook enjoyed an 88% revenue increase in 2011. EMarketer estimates Facebook revenue will rise only 36% this year and 31% in 2013. We know investors will want a few key details from today's Facebook earnings report, like how much more user growth the site expects, if it can increase ad sales and how it'll tackle mobile usage. But something people haven't questioned as much is if there are any competitors lurking in the shadows that could eat away at Facebook's online presence. Turns out Facebook has reason to be concerned. MarketWatch's David Weidner last week addressed some competition creeping into Facebook's world. In his article "Here's the app that could kill Facebook," Weidner detailed how an up-and-coming app could actually threaten Facebook's hold on social networking. Tack this on to the list of reasons to avoid Facebook stock - in case you needed any more. The app in question is called Path. The Facebook earnings report for Q2 will be released Thursday after market close - meaning investors have a chance to see if concerns over Facebook's revenue and growth are warranted. It's only been two months since Facebook's (Nasdaq: FB) long-awaited May 18 IPO. The day didn't exactly turn out as planned with Nasdaq's technical problems delaying trading and a measly one-day gain of 23 cents. The result has been a lingering frustration among investors who hoped they were buying the next big tech stock - and are now in the red. Since then, Facebook stock has fallen 24%. A lot of expectations and answers should come with the Q2 earnings Thursday, but we're not so sure they'll be the answers investors have hoped to hear. Here are three reasons we think the Facebook earnings report will disappoint. Now Facebook has a new strategy to increase its reach - and its profits - but it's one that will likely raise some eyebrows. Everyone's eyes are on the falling Facebook stock price, but CEO and founder Mark Zuckerberg remains silent on the issue. 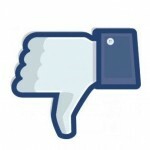 Facebook (Nasdaq: FB) stock is down about 17% from its $38 IPO price. But Zuckerberg has not commented publicly or issued a company statement, according to The Wall Street Journal. Silicon Valley rumors tell us that Facebook employees have been told to concentrate on work and not comment on the IPO fiasco. Meanwhile, Nasdaq criticism continues and lawsuits pile up as investors who are left with more FB shares than they wanted - worth less than they bargained - feel cheated. And Wall Street is left to bet on when or if FB stock will rebound.